This policy will inform you of why and how Douglass Simon Solicitors use personal information from clients and other members of the public. When we refer to “we” or “us” in this policy we are referring to Douglass Simon Solicitors. We will collect personal information about you when you contact us about providing legal services to you (for example, your name, address, email contact details, telephone number). We may require further information before we provide legal advice to you (for example, your passport or other ID) in order to comply with our regulatory requirements. We may also collect personal data about you from publicly accessible sources, e.g. Companies House or HM Land Registry for client due diligence providers. 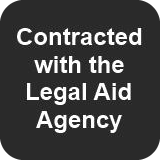 During the course of providing legal advice services to you, we may collect information about you and/or any other individuals you tell us about. Depending on the nature of the work we carry out for you, we may collect and use special categories of personal data about you or a third party you tell us about (for example, information about health, ethnic origin, religious or philosophical beliefs, and/or trade union membership). When you become a client of Douglass Simon Solicitors, or when you enter into discussions to become a client, we may add your personal data to our marketing database in order to send you information about news and events, legal updates, and other similar services. We will always give you the opportunity to opt-out of this marketing. If you are not a client of Douglass Simon Solicitors and you are a consumer (i.e. you are not representing a business or organisation), we will only send you marketing communications by email or other electronic means with your consent. If you consent to receive email marketing from us, we will add your personal information (your name and email contact details) to our marketing database. You can opt out of marketing communications contacting us at gdpr@douglass-simon.com at any time to opt out, change your contact details or to update your communication preferences. We may also send marketing information by post if we are satisfied that we have a legitimate interest to do so, for example, to send our Review for clients to interested parties every two years. We will collect personal information that you voluntarily provide to us if you fill in a form on our website or apply for a vacancy through the website. This information may include your contact details including name, address, email, telephone number and where you provide it, some categories of personal data for example, ethnic origin and religious beliefs. We do not employ cookie technology to monitor those who visit our website. If you send us a private or direct message via social media, we may share this information with Douglass Simon Solicitors personnel (for example, in order to respond to a specific query or to pass on information). We will not share messages with any other organisations without your prior consent. If you send a query or complaint to us, we will use the personal information you provide to us (for example, your name and the name(s) of any other individuals involved) in order to process your query or complaint and respond to you. Where we consider it necessary or appropriate, we will share this information with third parties such as the Solicitor’s Regulation Authority. • for our own (or a third party’s) legitimate interests provided your rights don’t override these interests. For example, we may use your personal data to comply for fraud and crime protection and for our network and information security measures, for any purpose required by law or our regulatory authority, for identifying usage trends and for data analytics as this information will help us review and improve our products, services and offers and under reasonable expectation to provide you with information you would expect to receive or that would benefit and enhance our relationship. We will only use special categories of personal data relating to you or to third parties you tell us about when we have your explicit consent and/or where it is necessary to use the information for the establishment, exercise or defence of legal claims. We may share results of research that we carry out into the use of our services with third parties but this information will always be anonymised and will not contain your personal information. We hold data electronically in our secure client management system and on our on-site file servers. Network infrastructure is protected using firewalls and anti-malware software. We also have off-site back-up servers in secure locations. We encrypt data leaving the firm on removable media and email, using industry standard encryption method that encrypts the data in transit. We regularly back up and encrypt all of the data we hold. We store papers in lockable cabinets in our offices when not being actively used and we have a secure off-site document storage facility for archived papers. Our offices are secure and only our personnel can access areas where personal data are stored. We limit access to your personal information to those employees, agents, contractors and other third parties who have a need to know. The firm’s business support teams may also have access to personal data (for example, to provide IT and document management support). We may give third parties access to the personal information we hold about you in order to comply with our regulatory obligations (for example, the Solicitors Regulation Authority, our auditors or our professional indemnity insurers). We do not transfer the information you give us to countries outside the EEA, except where the international transfer is necessary in connection with the legal services we are providing to you. If we transfer your information outside of the EEA in this way, and the country in question has not been deemed by the EU Commission to have adequate data protection laws, we will provide appropriate safeguards and we will be responsible for ensuring your privacy rights continue to be protected as outlined in this notice. If you are outside the EEA, your information may be transferred outside the EEA in order to provide you with our services. By submitting your personal information to us in this way you agree to the transfer and processing of your information outside the EEA. We have a Retention and Archiving Policy which sets out our approach to the retention and deletion of the personal information we hold about you either in computer or manual files. We will hold the information for as long as required by law or our regulatory obligations. Our default retention period for personal data is seven years from the conclusion of your instructions to us or in the event that you or we need to re-open your matter from the date on which the reopened matter came to an end, unless otherwise specified by law. Please note that personal data held on our client files may be retained for longer periods as it may be necessary to retain this data in order to allow our clients or third parties to protect their legal rights and claims. This data will not be generally accessible by our staff unless it is necessary in the context of a legal claim or there is another overriding reason which justifies access to this data. These retention periods may be extended or reduced if we deem it necessary (for example, to defend legal proceedings or if there is an on-going investigation relating to the information). If you have given your consent to us processing your personal information (for example, consent to receive information about our news and events), you have the right to withdraw your consent at any time. To withdraw your consent, please contact gdpr@douglass-simon.com . Once we have received notification that you have withdrawn your consent, we will no longer process your personal information and, subject to our retention policy, we will dispose of your data securely. If you have any questions about this privacy notice or how we handle your personal information, please contact gdpr@douglass-simon.com.